Our 100% online DOT HAZMAT Training: Carrier Requirements – Air course helps employees involved in HAZMAT transportation by air to meet the modal specific training requirements of 49 CFR 175.20 and Part 172, Subpart H of the Hazardous Materials Regulations. Training topics include packaging requirements, quantity limitations, separation requirements, excepted materials, and notification to the pilot-in-command. Volume Pricing option available. Our DOT HAZMAT Training Online: Carrier Requirements – Air course is designed for all employees involved in hazardous materials transportation by air. 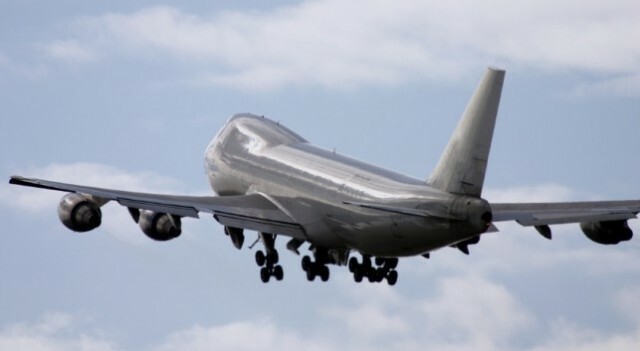 All air carriers conducting flights to or from United Sates airports are required to comply with 49 CFR regarding the acceptance, loading, storage, and transportation of hazardous materials by aircraft. This course is intended to comply with the modal-specific training requirement of 49 CFR 175.20 and Part 172, Subpart H of the Hazardous Materials Regulations. The course includes training on quantity limitations, packaging requirements, excepted materials, separation requirements, and notification to the pilot-in-command. For information on DOT HAZMAT training requirements or the DOT HAZMAT courses we offer, visit our DOT HAZMAT Training page. View a course demo now! Students will take this 100% online, fully narrated course through our state-of-the art Online Training System (OTS). The training is available 24/7 and can be taken at the students own pace, with saved progress. Designed by Certified Outreach Trainers, this DOT HAZMAT course includes up-to-date, high quality training created with your safety and learning as our top priority. The course features interactive training, which combines audio and visual elements for maximum retention. The course is completed entirely online using a computer with an internet connection and is available 24/7. For your convenience, it can be completed over time, and your progress will be saved to the last section completed. Students are given 6 months to complete the course after enrollment. We are so certain you will be satisfied with your experience, that we offer a 100% Money Back Guarantee*. Once the course is completed, you will immediately be able to download, save or print your Course Completion Certificate which is provided in PDF format. We’ll also mail you a PVC credit card style Wallet ID Card with optional photo, showing training course completion. The card will be mailed within 24 hours of course completion. The desired option must be selected at enrollment. Requirements for Hazmat transportation by air | DOT compliance | ICAO technical instructions | Hazmat shipping by air: Training requirements | “Will carry” and “will not carry”. Package markings and descriptions | Shipper and carrier responsibility | Overpacks | Verification of authorization and quantity limitations | Verification of content and accuracy of shipping papers | Ensuring Hazmats are marked, labeled, and placarded | Hazardous materials packaging | Requirements for packaging liquids | Combination packaging | Weight restrictions and cargo locations | Incompatible hazardous materials | Written notification. Groups of excepted hazmats | Safe operations and replacement equipment | Quantity limitations | Personal use | Small arms | Dry ice | Medical equipment. Passenger aircraft requirements | Cargo aircraft loading requirements | Transport by air only | Small, single-pilot aircraft. Reporting discrepancies | Types of discrepancies | Incidents and reports | Notifying NRC and CDC. HAZMAT employers are required to train new HAZMAT employees within 90 days of employment or assuming new HAZMAT related job responsibilities. Direct supervision is required of the employee performing a hazardous material function until training is complete. DOT requirements specify HAZMAT employees need to be retrained and tested at least once every three years. FAA requirements (14 CFR) specify air carrier employees need to be retrained every two years. Air carriers where HMR applies must train and test HAZMAT employees as required in 175.20 and 172.700-704 prior to involving them in the transportation of hazardous materials. Please note that this online DOT HAZMAT Transportation training course is not meant to replace company-specific or function-specific training provided by your employer on equipment use and procedures for your particular work environment. You must be trained by your employer on the hazards, equipment, engineering and administrative controls, safe work practices and emergency plans specific to your role and workplace. Employers need to evaluate employee needs for additional DOT hazardous material training and training in the use of personal protective equipment used on the job. In ALL situations, employers are required to ensure their employees are adequately trained to do their job. The course objective of the DOT HAZMAT Air Carrier Requirements course is to meet the Federal DOT 49 CFR 175.20 and Part 172, Subpart H modal specific training requirements of the Hazardous Materials Regulations. This course consists of 5 sections, which are fully narrated and interactive within our Online Training System (OTS). Quiz questions within each section help the student retain the knowledge needed for the final exam. The final exam for this course consists of 10 questions, which are randomly compiled from a large pool of possible questions. A 70% or better score is needed in order to pass the final exam. If a student does not pass, they may re-review information in the sections as necessary, and retake the test as many times as needed in order to pass. This DOT HAZMAT training online course was designed by a team of Certified Outreach Trainers. It is U.S.DOT and FAA accepted and meets the requirements for 49 CFR and 14 CFR. Once the course is completed, you will immediately be able to download, save or print your DOT HAZMAT Certificate of Completion which is provided in PDF format. We’ll also mail you a PVC credit card style Wallet ID Card with optional photo, showing training course completion. The card will be mailed within 24 hours of course completion.